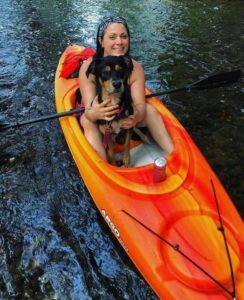 Kayak Rental is available for overnight guests and includes life jackets and complimentary transportation for $25/day. 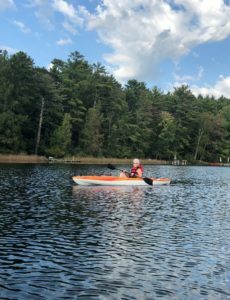 Please reserve kayaks in advance for guaranteed availability by adding to your reservation online, email us or call (715) 258-5333. 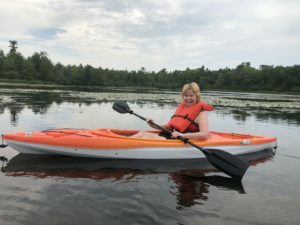 Paddling is fun in Waupaca with both flat water or moving water for the ultimate paddling adventure. 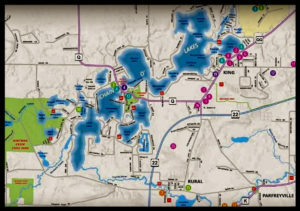 The Chain O’ Lake has 22 interconnected lakes with crystal clear spring fed waters. The Chain’s marl bottom gives many of the lakes a distinctive bluegreen coloration not found in many other bodies of water in Wisconsin. 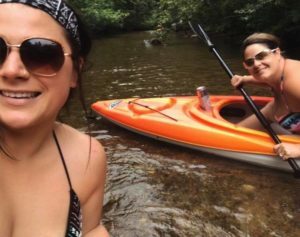 The Crystal River is narrow, winding and scenic with crystal clear water for both a relaxing paddle and a little adventure with rapids.